Good news! 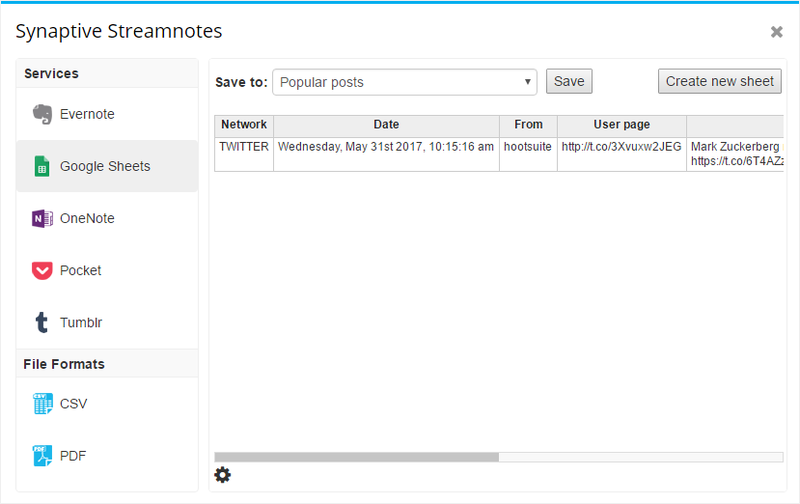 We’ve just added Google Sheets support to our Synaptive Streamnotes Hootsuite app. You can now select posts from Youtube, Instagram, Twitter, Facebook and Syndicator RSS streams, and save them directly to a Google Sheets spreadsheet. 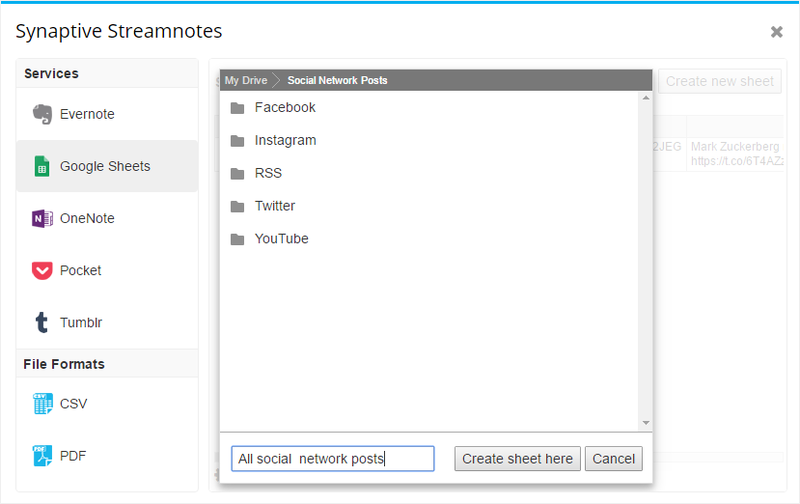 Not using Synaptive Streamnotes yet? Find out more info here.